I love this picture; it is just the perfect capture of how a family should look. 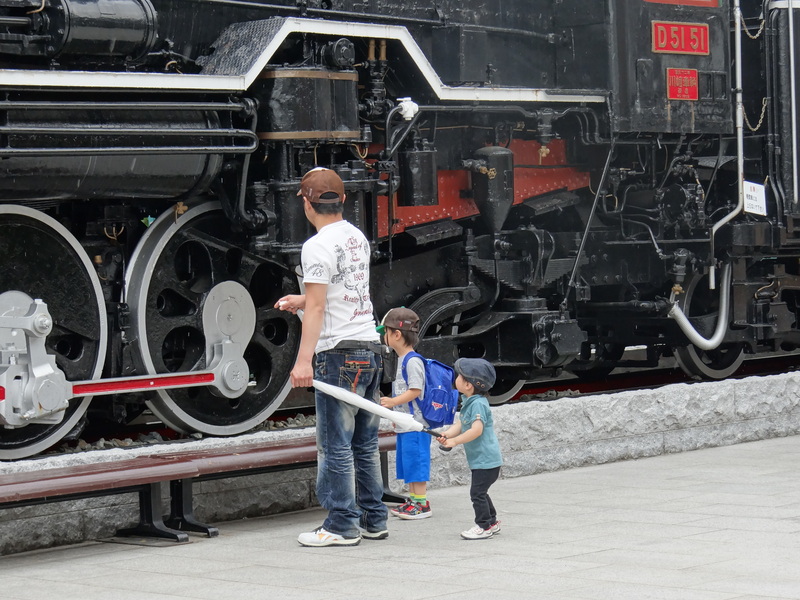 The dad involved with his kids, and the kids attentively listening to his explanations about the train. He was leading them around by the umbrellas; which I also thought was darling. They seemed so happy and looked like they were enjoying the trip!